المجلس الإسلامي العربي / Sayed Mohamad Ali El Husseini in the Italian parliament, meeting MP Mario Marazziti, head of the Social Affairs Committee. 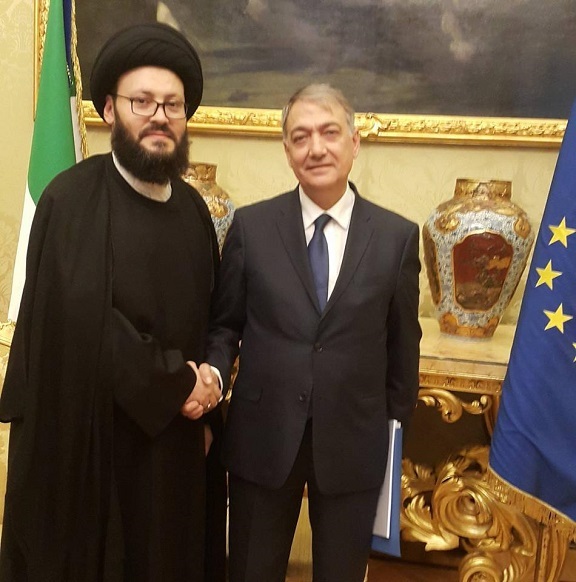 • الموضوع : Sayed Mohamad Ali El Husseini in the Italian parliament, meeting MP Mario Marazziti, head of the Social Affairs Committee. .
Sayed Mohamad Ali El Husseini in the Italian parliament, meeting MP Mario Marazziti, head of the Social Affairs Committee.